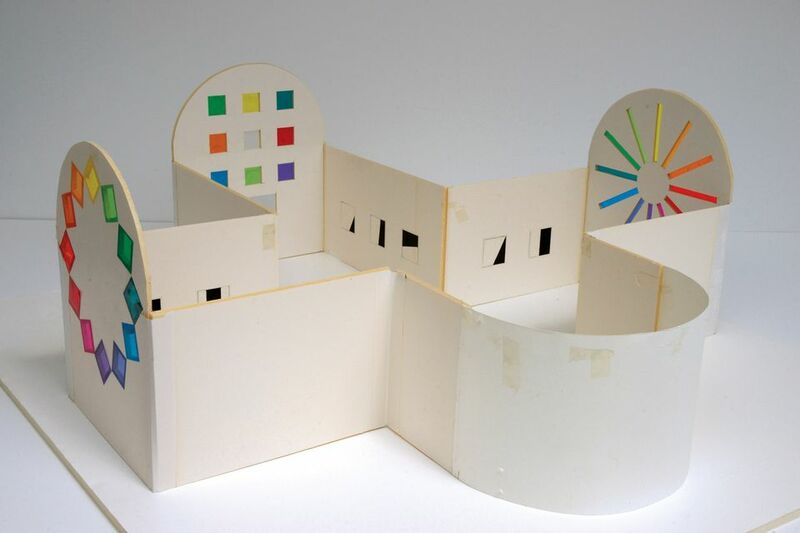 In 1986, Ellsworth Kelly made Model for Chapel, a cardboard maquette for what would be his only building, inspired by the Byzantine and Romanesque architecture he saw in postwar France as a student under the GI Bill. The artist donated the cross-shaped design, Austin, to the Blanton Museum of Art at the University of Texas at Austin in 2015, the year he died. The museum’s $23m realisation of the building is due to open this weekend, on 18 February. Kelly conceived the 2,715 sq. ft stone structure as an “experience in space with just colours and lines and forms”, says the Blanton’s director, Simone Wicha. Three arrangements of single-coloured windows include an arc inspired by the rose windows at Chartres Cathedral, while 14 black-and-white marble panels representing the Stations of the Cross line the white walls. The soaring, vaulted building also houses a freestanding redwood totem. 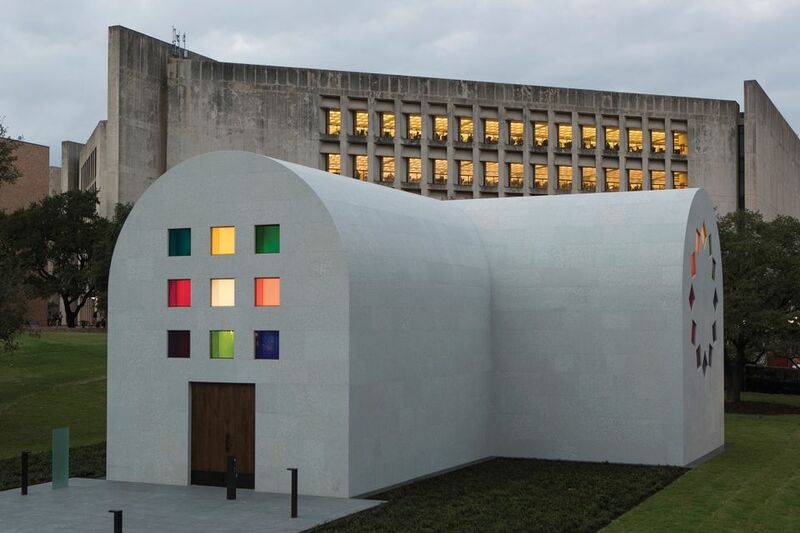 Despite the ecclesiastical titles of Kelly’s model and the panels, the museum insists that Austin is “not a chapel”, unlike the Rothko Chapel in Houston, for example. Kelly was unable to visit the Blanton Museum, which broke ground on the building in 2015, but Wicha says that the artist had full control of the project, down to “the grout and the electrical outlets”. He also worked closely with a glass manufacturer to find the precise colours he wanted for the mouth-blown window panes. The opening of Austin will be accompanied by an exhibition on the work’s long conceptual lineage, dating back to the 1940s (Form into Spirit: Ellsworth Kelly’s Austin, 18 February-29 April).